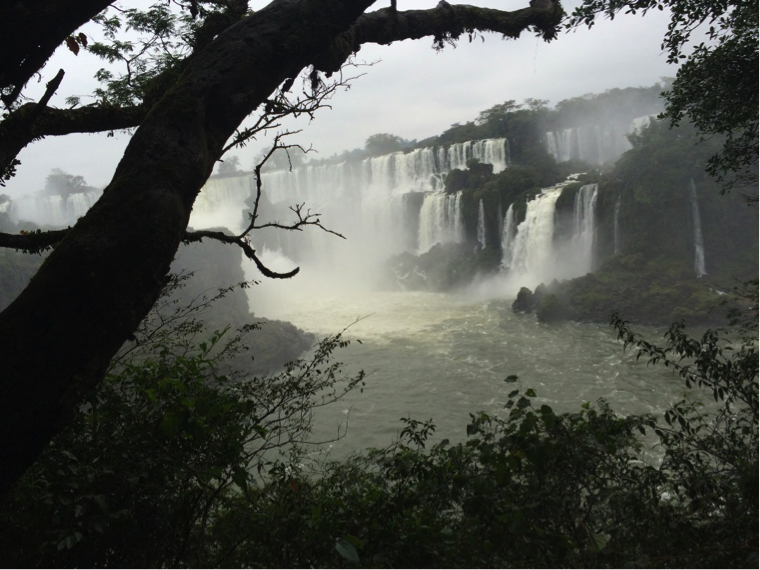 Argentina is one of the world's great centers of ecological and human diversity. With a rich history of Pre-Columbian arts and sciences in the deserts of the north and the glaciers of the south, and bustling port cities that yoke together 19th century architecture and contemporary artists, there is a lot to study in Argentina. Our partner schools offer programs in Buenos Aires, Córdoba, and Mendoza. Check the Study Abroad website ("Program Search | Argentina") for a full list of J-Term, summer, and semester-length options in Argentina. Before you apply to a program, you must meet with your advisor for the major or minor, and speak with an advisor from the Study Abroad Office. The advisor for all programs in Argentina is Martha Sadler. 1. Why did you want to study in Argentina? This program was absolutely amazing. I want to encourage other students not to shy away from it just because it may seem unfamiliar. It was extremely well-organized and provided plenty of great opportunities for both academic and personal growth. Though I had initially hesitated to go abroad, I am so glad I did it and would go back in a heartbeat! I knew I wanted to study somewhere in Latin America and had heard amazing things about Argentina. 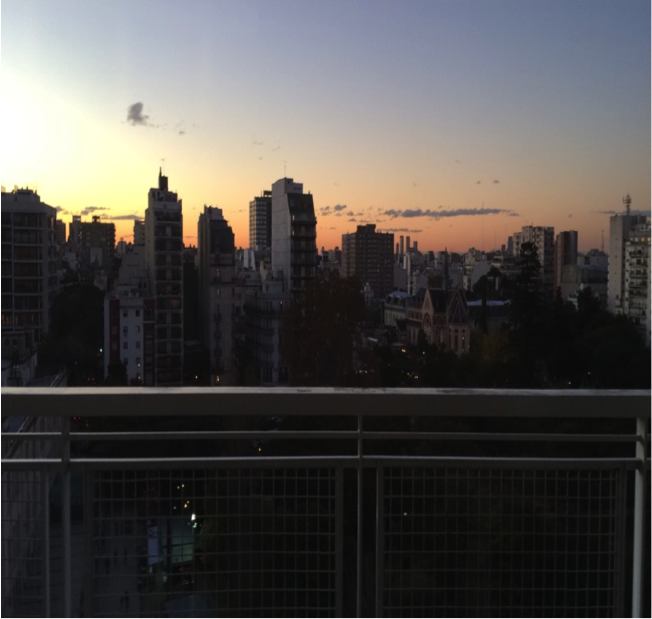 I was initially drawn to the city environment in Buenos Aires but was also looking forward to exploring the other provinces of the country. 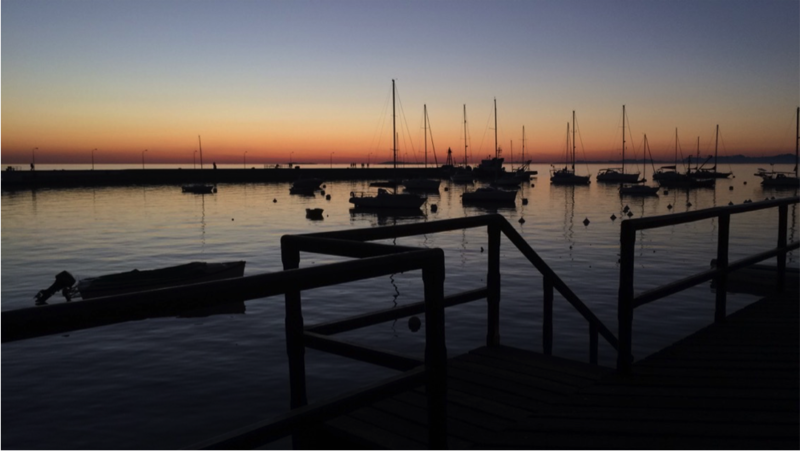 Buenos Aires was the perfect fit because the city itself has a vibrant culture and rich history, and traveling to the more scenic regions was relatively easy and cheap. I was also excited to participate in a program that would allow me to meet students from outside of UVA. I would wake up and have breakfast with my host mom, ride the bus and subway to the University of Buenos Aires campus, and take classes from 9:30-12. Since the Argentinian students were in the middle of their school year, I took my classes with the other American students from the program. After class ended, we would go explore other areas of the city, whether it was through visiting historical sites, attending the opera, finding new cafés or places to eat, or shopping at the markets. In the evenings I would have dinner with my host mom, do homework, and meet up with friends. I took an Advanced Language and Culture class as well as an Argentine History course. These were unique from any courses offered at UVA because they incorporated cultural excursions, such as visits to a tango club or colonial ranch. I loved the history class because we could actually visit the sites where these significant events took place, such as the Plaza de Mayo and the ESMA detention center. It was very impactful to be completely immersed in the course material and see it in our everyday experiences. Through this program I was able to earn six credits toward the Spanish major and significantly improve my written and oral communication skills. Most importantly, it broadened my understanding of the diverse range of cultures and experiences across Latin America. It reminded me why I chose to study Spanish and confirmed that I would like to consider a career abroad in the future. 5. What was the best thing about studying abroad in Argentina? We had class only four days a week plus one free week at the end of the program, so we had plenty of opportunities to travel around the country. Some of my favorite moments were from the trips I took to Iguazu Falls and the northern provinces of Salta and Jujuy, where I saw some of the most incredible landscapes. My host mom also made me feel right at home in a new place. She was so welcoming and taught me so much about life in Argentina. We became very close over the course of the program and still keep in touch. As a Latin American Studies major, I had studied a lot about Latin America and had traveled to Central America and the Caribbean, but I had never been to South America. I really wanted to learn first-hand about a place that I had read about in so many classes. Additionally, I needed to take upper-level Spanish classes, and many of the other programs only offered intermediate classes, or lacked the right focus for me. Argentina was the right mix of Spanish classes and subjects. I lived in Caballito, which was fairly close to our school, so instead of taking the Subte (metro), I would walk about 20-30 mins every morning to our Facultad at la Universidad de Buenos Aires. My host mom would prepare me jam and toast, or churros if I was lucky, which I’d scarf down on my way out. Morning class was always grammar, which everyone was required to take, but the classes were fairly interactive. We discussed everything from Argentine culture (popular comics, tango, soccer) to the grammar of “Castellano Porteño”. I had 2-3 hours for lunch since I opted to take 2 classes rather than 3, so I would eat with friends in the downstairs library, and then finish reading for my Spanish and Argentine history classes (Perón-present) .On Fridays, we’d watch a movie or documentary on the topics we discussed that week. I’d get out of class mid-afternoon, and would usually either walk back towards my apartment with friends or take the Subte into the heart of BA. Our program even gave us a list of museums and places to visit. By 6pm I’d return home, since it was winter time and the sun set fairly early. Dinner is a late night affair, but my host mom almost always had my dinner out by 8:30pm. Afterwards, I’d watch the news or the Argentine version of Dancing with the Stars with my host mom, and then play with the cat before finishing my reading. On weekends, my friends and I explored different neighborhoods (Recoletta, Palermo, etc. ), and our program organized activities like neighborhood soccer, bike tours, and an overnight trip to Colonia. We saved distance travel for our two long weekends, trying to maximize our time in the city otherwise. There’s so much to see in BA! I took two classes: Castellano Avanzado and Argentine History. The Castellano course was similar to the 3010/3020 courses in that it covered grammar topics, but they were aimed at learning the Argentine dialectic and covered more advanced grammar that I had not learned before. The history course was tailored only to Argentine History, so it was more specific than any Latin American History course I’ve taken, either through the Spanish or History department. It was nice to focus on a specific area after taking those broader regional courses. My program also offered Argentine Literature; however, I opted to not take this as I had taken similar courses at UVa and had less interest in the material. 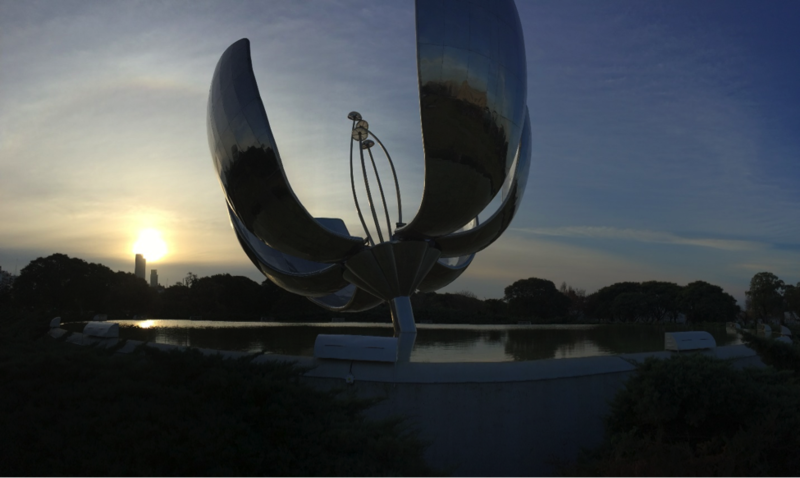 Being in Argentina helped confirm for me that I want to study, live, and experience Latin America in my professional life. I plan to work in Latin America for 1-2 years before seeking a Masters degree, and hope to return to Argentina during that time. My experience helped strength my Spanish and improve my confidence in using the language, and it expanded my understanding of the culture. Learning about Argentine History and visiting museums and sites we learned about in class was a really powerful way to engage with my class learning and cement my understanding of historical events. 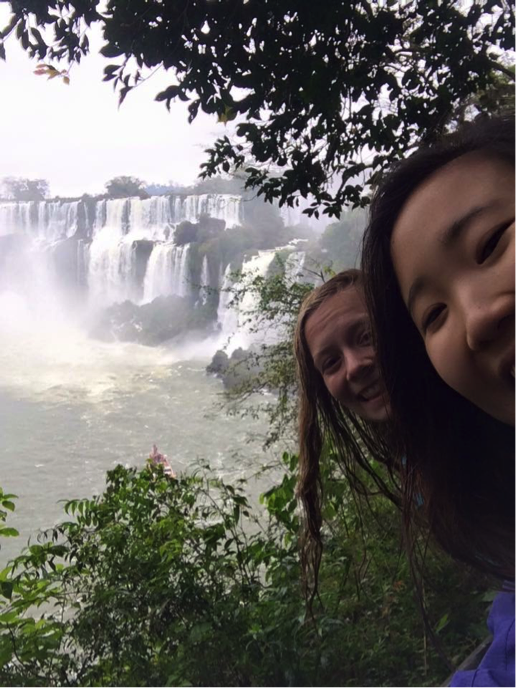 There were so many great things about studying abroad in Argentina, but I’ll highlight two of them – the people and the landscape! BA is a large city, and that was really intimidating for me, but the people were all so lovely, especially my host mom. I met most of her extended family the second night I was in BA, and they were all super friendly, encouraging me to try different foods, asking about my home, telling me where to visit in Argentina, and really making an effort to include me despite being a foreigner at a birthday celebration. Figuring out the transportation in BA was also a daunting affair, but my host mom taught me that if I told the bus driver where I was going and asked them to let me know when get off, they would always be happy to oblige. Even when my friends and I were in Bariloche, a couple of Argentines that we met at our hostel showed us to the best dinner place in the city and made sure we had an authentic Argentine meal before we left. Everyone I met was super friendly and open, and I really enjoyed our in-depth, complex conversations. If I had stayed in my bubble or studied in Europe, I wouldn’t have met these amazing people, or had the chance to learn from them. The other really great thing about Argentina is the landscape. If you have the opportunity to travel to Argentina, go for it! BA has so much to offer, but you should get out of the city and explore all of the different terrains – from rainforests to deserts, to high-mountain salt mines and the glaciers of Patagonia. I traveled from Igazú to Bariloche, and each trip was better than the last. Argentina is an absolutely beautiful country, students can move around easily. I wish I could have stayed longer to explore further, but I know that I will be back there soon enough! A big factor in my decision to study in Argentina was my desire to speak Spanish as much as possible. I know that UVa offered a lot of really good programs, but from talking with other friends from different programs, it’s apparent that some have better immersion opportunities than others, and having a smaller program in a more distant place is one way to foster that. I certainly spoke in English at times, but in class, with my host mom, and often even with friends, I was able to use my Spanish and engage in really fascinating and complex conversations. If you are serious about gaining Spanish fluency, I would urge you to consider this program as a way to get away from the English-speaking world and learn about life in a new part of Latin America. Fair warning, you will likely return home with an Argentine accent, but it does make for a great introductory story when meeting someone! The first couple weeks might be rough, but my program had a lot of really good resources and opportunities for students and I certainly recommend it to all!